It falls to Mackenzie’s long-suffering editor, JD Chambers, to deliver the bad news. He chooses to do so face-to-face—to see if the spark he senses between them is real when they’re together in the flesh. Unfortunately, a snowstorm, a case of nerves, a case of mistaken identity, and finally a murder gets in the way of a potential enemies-to-lovers romance. This book completely took me by surprise. The cover and blurb suggest something light, fluffy, and new adult. The actual story is more Agatha Christie country house murder mystery meets The Shining and it is told with a perverse and very self-aware sense of humour that I loved. Mackenzie is a wonderfully flawed leading man. His philosophies and the whole self-help movement built around his book are wickedly and accurately observed. He is clueless and useless but always well-meaning and charismatic. The rest of the characters in this book are equally well observed – from Mackenzie’s long-suffering editor to his obsequious fans. The murder mystery is actually scary. And like all the best horror stories, it is fully aware of its clichés. It is alternately funny and horrifying and I really enjoyed the ride. The part of the story that works least well for me is the romance between JD and Mackenzie. But I’m still not sure how much of their relationship is recounted earnestly and how much is delightfully tongue in cheek. These two make a great pairing but I’m not sure we get much actual romance. 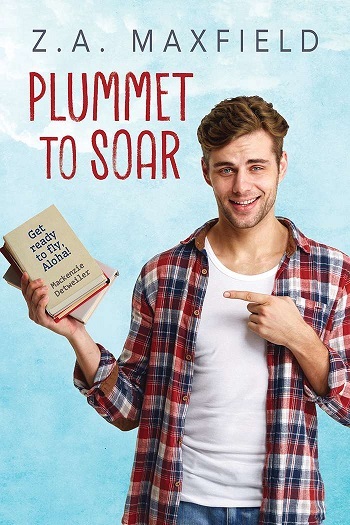 Reviewers on the Wicked Reads Review Team were provided a free copy of Plummet to Soar (Plummet to Soar #1) by Z.A. Maxfield to read and review.